Residents can also enjoy a variety of spring and Easter events this weekend. High school spring musicals will continue this weekend around South Jersey, while some towns will be getting an early start on Easter celebrations. Check out what’s going on around the region on Saturday and Sunday. 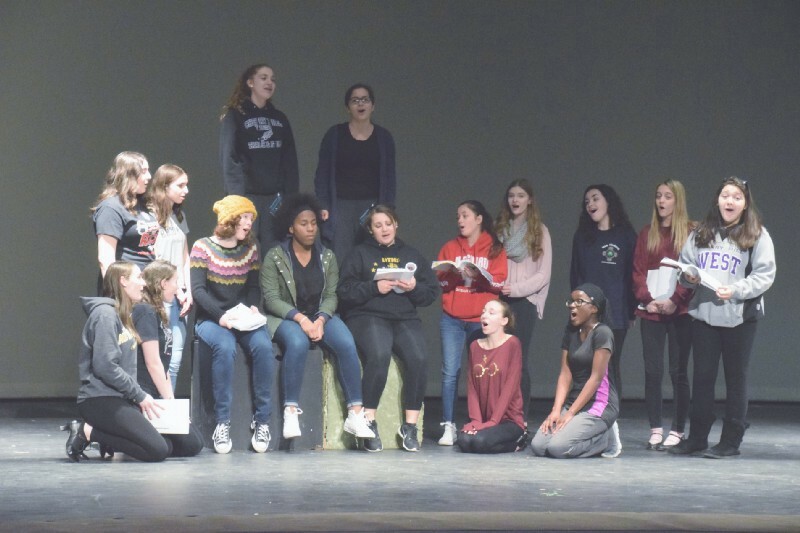 Enjoy a few laughs at Cherry Hill High School West this weekend as Cherry Hill West Theater presents its spring musical, “Sister Act.” Performances will take place at 7 p.m. on Friday and Saturday, and 2 p.m. on Sunday. Tickets are $15 for adults and $10 for students and seniors. To purchase tickets, visit www.showtix4u.com. Friends of the Cherry Hill Public Library’s spring book sale will wrap up on Saturday. Thousands of books, CDs and DVDs are available to purchase. On Saturday, shoppers can purchase a bag of books for just $5. All proceeds benefit the Cherry Hill Public Library. For more information, visit www.chplnj.org. Another high school musical will debut this weekend at Seneca High School in Tabernacle. Seneca’s spring musical, “Beauty and the Beast,” will take the stage on Friday at 7 p.m. and Saturday at 1 and 7 p.m. Tickets are $12 for adults and $10 for students and children. All tickets will be sold at the door. The Voorhees Breakfast Rotary Club is sponsoring the 13th annual Voorhees Spring Egg Hunt this weekend for children in grades one to five. Bring a basket and camera for a special appearance by the Easter Bunny. Face painting, games and other activities will begin at 10:30 a.m., followed by the egg hunt at 11 a.m. The event takes place at Lions Lake Park, 101 Dutchtown Road, in Voorhees. The rain date is April 15. Visit www.voorheesbreakfastrotary.org for more information. A number of spring events will take place in Gloucester Township this weekend. At Timber Creek Regional High School, Breakfast with the Easter Bunny will take place from 9 to 10:30 a.m. on Saturday morning. The breakfast of sandwiches and drinks is free, and attendees will have the opportunity to purchase stuffed animals, spring plants and pictures with the Easter Bunny, There will also be an Easter egg hunt and other activities. Timber Creek Regional High School is located at 501 Jarvis Road, Sicklerville. Also in Gloucester Township, an Easter Bunny Brunch will take place on Saturday from 10 a.m. to noon at the township’s recreation center, 1261 Chews Landing Road, Laurel Springs. Attendees will enjoy bagels, donuts, refreshments, fun and games. Bring a camera to take a photo with the Easter Bunny. All are asked to bring a canned good to donate to the local food bank. Children must be accompanied by an adult. For more information, visit www.glotwp.com. Comic book fans will converge on Ocean City this weekend for the 2017 OC Con — Comic Book and Memorabilia Show. The event takes place on Saturday from 10 a.m. to 5 p.m. and Sunday from 10 a.m. to 4 p.m. at the Ocean City Music Pier. The event includes artists, vendors, panels and more. Tickets are $45 each for two days. For more information, visit www.ocnj.us/OC-Comic-Convention. In Atlantic City, runners and beer lovers will participate in the second annual Hops Trot 5K run. The event begins and ends at the Atlantic City Convention Center. The run begins at 10:30 a.m. and ends at 11:30 a.m. It will be followed by the second session of the Atlantic City Beer and Music Festival. The $85 fee includes participation in the run and admission to the festival. For more information, visit www.delmosports.com/events/hops-trot-5k. Spend a night inside The Academy of Natural Sciences of Drexel University as it hosts its Night in the Museum event on Saturday beginning at 6:30 p.m. and continuing until 9 a.m. Sunday morning. There will be a scavenger hunt, hands-on experiment, and live animal show. The cost is $50 for museum members and $55 for non-members. To purchase tickets, visit www.ansp.org/get-involved/programs/family-programs/night-in-the-museum. The Philadelphia Furniture Show returns to the 23rd Street Armory this weekend. It will be open from 10 a.m. to 6 p.m. on Saturday and 10 a.m. to 5 p.m. on Sunday. The show will include the work of 50 woodworkers, weavers, potters, photographers, sculptors, fabric and lighting designers from across the United States. Tickets are $12 for adults and $8 for students. Visit www.philadelphiafurnitureshow.com for more information.